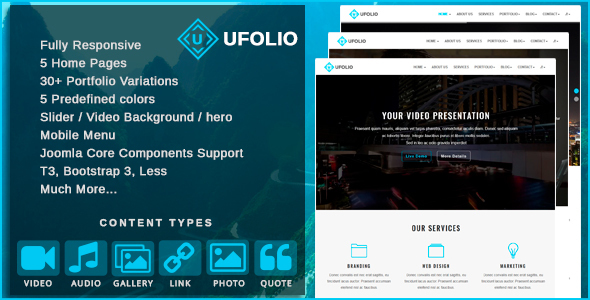 Ufolio is a Responsive Joomla Template multi purpose, to create pages portfolio and any kind of business as landing pages, corporate, agencies, business and more. Designed for designers, developers, photographers, painters, dressmakers, etc. It also has a powerful smart blog, to post notes with images, audio, video, links, quotes and galleries.